After a string of films that didn't quite meet Pixar's acclaimed heights, this year's Inside Out dazzled audiences and critics alike with it's boldly original premise and stellar execution. 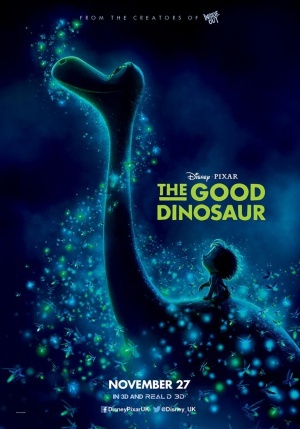 Due to countless production troubles, Pixar's latest The Good Dinosaur was pushed back from it's 2014 release to make 2015 the first time that Pixar has ever released two films in one year. As established, Inside Out ranks as one of their finest works yet, but how does The Good Dinosaur hold up? What if the Chicxulub impactor missed Earth 65 million years ago? That is the premise of this interesting tale, which features a young Apatosaurus named Arlo (Raymond Ochoa), who is swept away from his home during a fierce storm and forced into a long journey to find his way back. Along the way, he meets and bonds with a cave boy whom he names Spot (Jack Bright), and learns to confront his inner fears and become a stronger person...well, dinosaur. Whatever. There's no need for me to mention that The Good Dinosaur is beautifully animated; that's been standard for Pixar since their inception, and whilst people have expressed concern over the "cartoony" dinosaurs against the photorealistic backgrounds, it works surprisingly well to create a more expressive art design with a widespread appeal. It helps the characters stand out, giving them their own vibrant identity, and has a charming finesse to it. Indeed, the animation ranks as possibly some of the best in Pixar's long history. The narrative is where we encounter some problems - the pacing gets off to a bumpy start as potentially stirring moments are disposed of before they can truly flourish, particularly the relationship between Arlo and his father Poppa Henry (Jeffrey Wright) during the first act. When Arlo and Spot begin their journey, their own bond develops nicely, and the host of supporting characters they meet are scene stealing in many ways; namely Sam Elliot as Butch, a Tyrannosaurus rancher. Sadly, despite their fantastic contribution, these supporting characters leave the narrative too quickly and thus are greatly missed - in a very frustrating way. 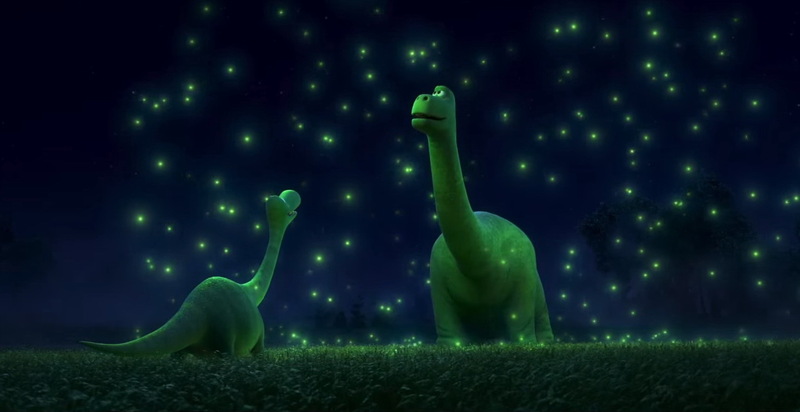 The Good Dinosaur, however, has some beautiful tender moments, namely relating to it's morals of devotion to family and confronting your fears. Yes, these plot lines aren't incredibly original, and in fact Pixar could've been a lot more unique with their creative concept, but the overall good humour and sense of adventure in the story helps to compensate. This combined with the gorgeous animation, a well chosen voice cast, and a superb score by Mychael and Jeff Danna makes The Good Dinosaur an enjoyable if imperfect addition to Pixar's renowned pantheon of family films.